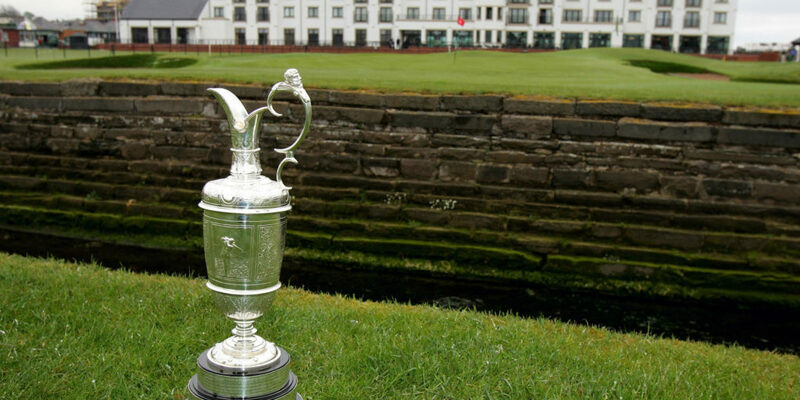 What do you like about the Open Championship and where would it rank for you amongst the majors and other significant tournaments? Matt Belacca, Director of Operations, Glendale G&CC: My favorite part of the Open Championship is the fact that I can wake up at 4 in the morning with a coffee and watch amazing golf, stuff that we don’t experience in North America. I love the conditions and the creativity the players need to have to be successful. For me, it’s my second favorite major right behind the Masters. Andrew George, Director of Operations, King’s Riding: Played on some of the most historic golf courses in the world, the British Open is always a must-see event. With the risk of challenging playing conditions related to wind and rain, it’s survival golf. Unlike the US Open, the elements provide a true test for the best players in the world. Mark Napier, Director of Operations, Heron Point: The Open Championship is always a favourite event to watch, especially on Sunday when the unpredictable is bound to happen. I really enjoy how the elements play such a huge factor. Most often on the PGA Tour they play under the best conditions and fire at the pins how matter where they are. At the Open, it always provides a different challenge and brings creativity into play. Brad Sewards, Director of Operations, Wyndance: For me it is the ultimate in golf. I love setting the alarm for 4am and watching live golf drinking freshly brewed coffee. The history and greatest names in golf 100 years ago walking the same fairways - there is just so much to love about this championship. Scott Johnson, Director of Operations, Kanata G&CC: What I like most about the Open is they let Mother Nature dictate the condition of the course, and consequently the score is out of their control. For too long the USGA has tried to manipulate the score with course conditions, and we saw how that backfired again this year. The R&A seems to get it right on this account and that is why I think it is the purest of the majors. There’s been a lot of chatter recently about a proposed $10 million match between Phil Mickelson and Tiger Woods. Both golfers are clearly past their prime, yet still factor quite prominently with oddsmakers, especially at majors. Does either golfer have a realistic chance at winning the Open Championship or is this just wishful thinking on the part of their many fans? Belacca: To me it’s wishful thinking and I am ok with that. If the two of them playing means ratings are up and there’s more of a buzz, then so be it. What I do not enjoy is when Tiger and Phil dominate coverage and they are not on the leaderboard. However, if they are the top of the leaderboard, that would make for some great drama and I would root for that. George: Tiger and Phil have been in contention at a few events throughout the season. They are always headliners going into Majors, especially Tiger who is back for at the Open for the first time in three years. I like their chances to contend but not to win the Claret Jug. If the prime-time money match becomes a reality, it will create lots of buzz and be a big TV event. Napier: I like to think that both Tiger and Phil have a chance this year, albeit a longshot. With Phil not far removed from winning the Open and a 2nd place finish in the shootout with Henrik Stenson two years ago. Sentimentally, it would be great to see either of them in contention, but I’m not counting on it. Sewards: There is little to no doubt in my mind that both can factor in this week. I strongly believe Tiger has another major in him, if not more. Phil, I believe, is going to have to dig a lot further to win. But be in contention on the weekend? For sure…both names would not surprise me if they get in the hunt! Johnson: I don't think it is wishful thinking. They still have the ability to play well, but for either of them to contend at a major they both have to have all facets of their game in top shape for all four days, which neither has shown recently. Who is your pick to take home the Claret Jug on Sunday and who would be your long-shot pick or sentimental favourite? Belacca: I am picking Justin Rose this week. He is so consistent, and I feel that would help in tougher conditions. My long shot, although his ranking is getting higher every week, is Tommy Fleetwood. That would be a great story. George: My pick is Tommy Fleetwood. He’s got tremendous talent and has become a gamer at Majors in the past two years. For a sleeper pick, let’s go with a fan favourite in Andrew ‘Beef’ Johnston. Napier: I like Jason Day to win this year, he’s had a couple near misses, and seems to play the toughest courses well. His putting and short game are in top form and it usually comes down to the short game when the courses play so firm and fast. On the long-shot side, I’ll take Danny Willett. He’s been off the radar since his Masters win but his recent finish at the Irish Open has increased his chances. Sewards: The winner, and you can put it in the bank, will be Justin Rose. Having a great year and playing strong golf. And his coach and I go way back! A longshot might be Marc Leishman. Johnson: After his final round at the US Open I think Tommy Fleetwood is ready to win his first major. Sentimental favourite would be Ian Poulter.